New Haven 828: Is the Pastorate a Pagan idea? Is the Pastorate a Pagan idea? 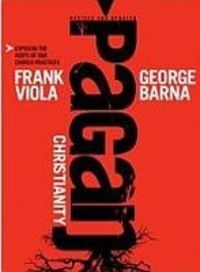 There's a reprint of a book called "Pagan Christianity" just out that deals with the issue of how far the Church has strayed from its roots. It was first published in 2002, but makes a reappearance now with the endorsement of Researcher/Author George Barna. Among the assertions made is that professional clergy were never intended to be a part of the church. Just to give you a clue where the author is coming from, the first line of the book is, "Not long after I left the institutional church to begin gathering with Christians in New Testament fashion…"
Click here to see a write-up on this controversial work from Christianity Today.